Don't get me wrong I love Midgard and I'm sure I will even more once I learn more how to do stuff but if we could just get some of it to be similar as WordPress man we would be rocking. It's so damn easy to use and install. After replying I realized we should probably explain the difference between Midgard and standalone PHP applications better. WordPress is a great tool when it comes to blogging. It is indeed very easy to set up, and its user interface strives to be simple and user-friendly. While technically Midgard's blogging component, de.linkm.newsticker includes most of the same features like RSS output or desktop blogging tool support, it still doesn't provide as good user experience. Installation is much more involved, and more steps are needed for setting up the website. 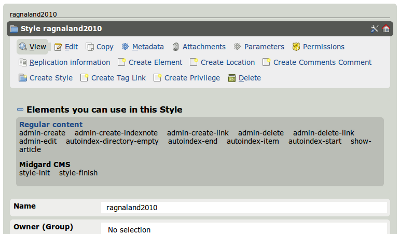 The user interface is also more complex, with site management functionalities handled by Aegir and content creation by the on-site "edit this page" functionality. Similarly to WordPress, several other PHP applications like Gallery and phpBB are considered to be the best tools in their categories. Again Midgard has components like net.siriux.photos and net.nemein.discussion providing similar functionalities. And again they are slightly lacking in setup, functionality or user interface sense when compared to their pure-PHP counterparts. But that is all beside the point of Midgard. These benefits should make it easy to choose between Midgard or the different PHP applications depending on what is needed. If only a single functionality, say blogging, is required, a tool like WordPress wins the choice easily. It is simple to install, works on regular web hosting services, and has a very convenient user interface. However, if more than one set of functionality is needed, or there are plans for growth, then Midgard is a better choice. With the slight initial cost of setting up a heavier system there is suddenly a much more robust framework and all its different integrated functionalities available. Another point to consider is that in addition to regular web publishing functionalities, the Midgard Framework also provides a set of business tools. 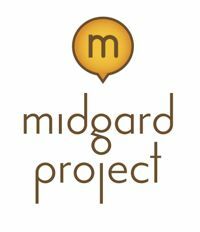 With Midgard it is possible to manage projects, sales contacts, help desk requests and product order fulfillment. These focus areas and the MgdSchema object abstraction system being worked on by Piotr Pokora together promise to make 2005 a very interesting Midgard year. Currently the Midgard Project website makes a rather poor job of explaining the differences between regular LAMP CMSs and Midgard. I hope this posting clarifies some of the ideas of using a robust framework in addition to the regular common LAMP tools. To support this I coined the designation LAMP+M to describe the Midgard Framework when writing the OpenPSA 1.10 release announcement. Daniel Reichenbach suggested using the phrase Midgard: the glue in LAMP.